No matter what you work on next, be sure you have plenty of space with this writing desk from Home Styles. Its stylish brown finish brings a touch of flair to any room or office. Crafted from sturdy solid wood, it's sure to support your work space for years to come. The compact design of this desk provides more than enough space for your computer, notebooks, and more. i3 Plus by Bestar has been created to adapt to your living space with the flexibility of its configuration possibilities. Its sleek design is Intelligent, Inspiring and Innovative. Durable 1 inch commercial grade work surface with melamine finish that resist scratches, stains and wear. Meets or exceeds ANSI/BIFMA performance standards. The workstation offers one utility drawer and one file drawer. The file drawers on the workstation and on the lateral file feature a letter/legal filing system. The hutch offers paper shelves, close and open storage and a rubber strip for wire management to keep your work surface organized. The station is fully reversible. The back of the desk is finished. The Bookcase features 5 shelves, three of which are adjustable. An anchoring system is furnished for more stability. Desk : 59.8-inch(W) x 84.9-inch(D) x 66.4-inch(H). Lateral File : 28.4-inch(W) x 19.6-inch(D) x 30.4-inch(H). Bookcase : 29.5-inch(W) x 11.6-inch(D) x 72-inch(H). 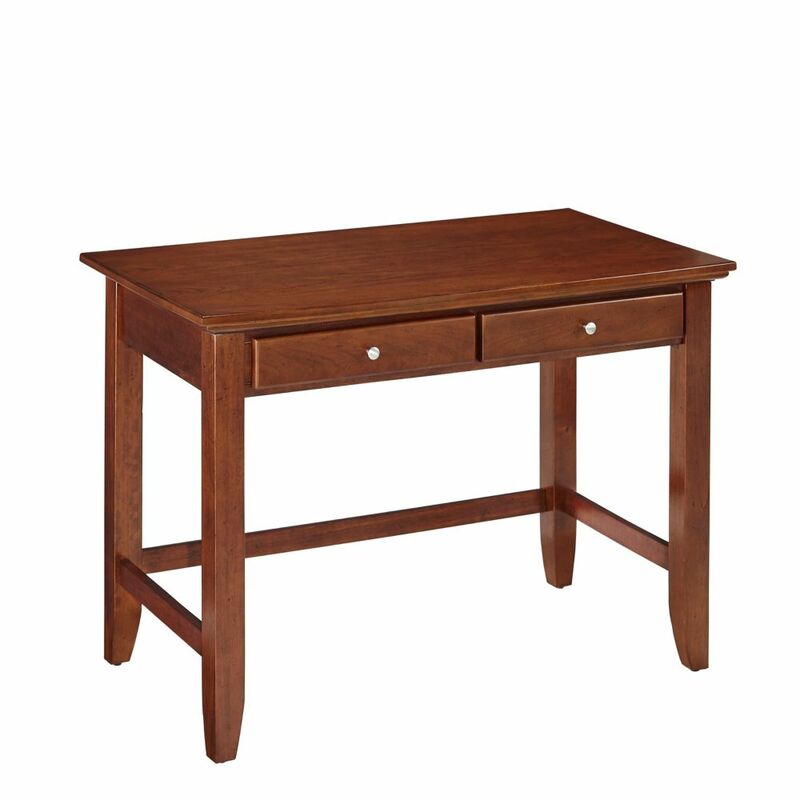 Chesapeake 42-inch x 30-inch x 24-inch Standard Writing Desk in Brown No matter what you work on next, be sure you have plenty of space with this writing desk from Home Styles. Its stylish brown finish brings a touch of flair to any room or office. Crafted from sturdy solid wood, it's sure to support your work space for years to come. The compact design of this desk provides more than enough space for your computer, notebooks, and more.